Getting caught up on the weekly round-ups, these were my week 28 sketches. Do you see a theme here? I had Invader Zim on the brain due to the comic book series being released. Anyone who loved the show will love the comic too, you must get it! 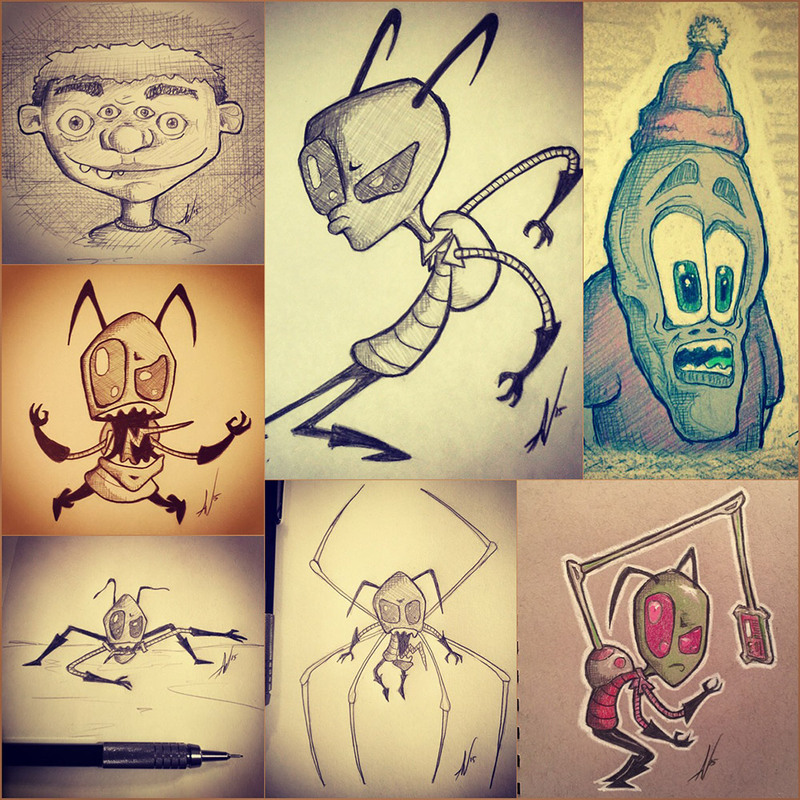 Tagged alien, art, cartoon, colored pencils, comic art, comics, daily drawing, daily sketch, doodle, drawing, illustration, invader zim, irken, nickelodeon, oni press, pencil, pencil sketch, sketch, sketch book, sketchbook, zim. Bookmark the permalink.